National Board of Review: Best Foreign Language Film; Venice Film Festival: Best Film; Palm Springs International Film Festival: Directors to Watch Award; 13 other wins, 13 nominations. Samuel Maoz’s debut feature, Lebanon, win­ner of the Golden Lion at the 2009 Venice Film Festival), was set during the 1982 Lebanon War, and shot almost entirely inside of a tank. 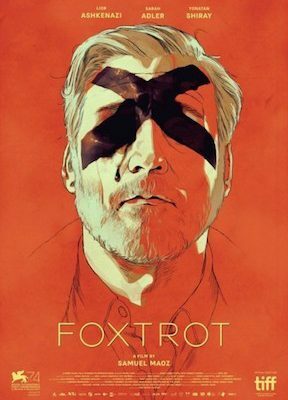 Foxtrot, his second feature, steps away from that fevered claustrophobia to tell another maddening story of war and conflict, but this one on a much broader canvas. Michael (Lior Ashkenazi) and Dafna (Sarah Adler) experience gut-wrenching grief when army officials show up at their home to announce the death of their son, Jonathan (Yonatan Shiray). Unable to find any solace in the well-meaning — if hollowly effusive — condolences of their extended family, or in the empty patriotic platitudes of bureaucrats, Michael spirals into anger only to subse­quently experience one of life’s unfathomable twists — a twist that can only be rivaled by the surreal military experiences of his son. Foxtrot examines both the strength and the absurdity of military service from several points of view. Moving from the grieving par­ents’ apartment to the remote military post where Jonathan was stationed, Maoz shows us precisely how much damage can ensue when young soldiers, barely able to tell their toe from a trigger, experience boredom, priva­tion, and loneliness. 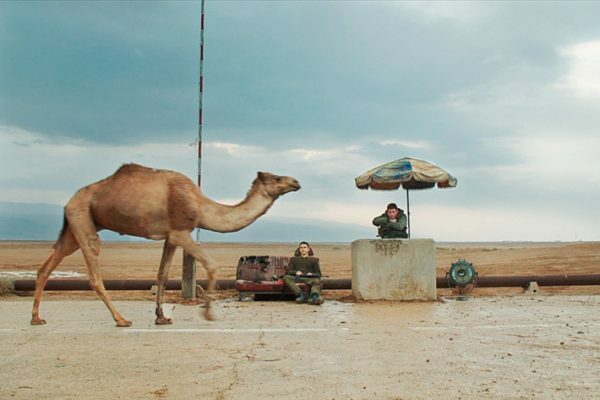 Although there is a terrible tragedy at the heart of the film, Foxtrot contains many moments laced with mordant humour, irony, and sincere emotional connection. Maoz once again brings us a powerful story, beautifully photographed and composed, about the lunacy of war, and its most immediate, as well as its most far-reaching impacts.